Too many times, homeowners get caught up in the spirit of "doing it yourself" and think that this must include residential junk hauling. But the truth is that hauling and disposing of residential debris and junk can be costly, time consuming and labor intensive. In other words, it doesn't always pay to "do it yourself." Simply owning a truck, or having a friend with a truck, is never a good enough reason to do your own junk hauling. Unless you actually are a junk removal company, you are not in the business of junk removal! As a homeowner you should weigh every decision involving expenditures. And hauling unwanted junk and excess household items will involve some expense. And the truth is, it's often far more cost-effective to leave these tasks to a local professional firm. Besides, depending on where you live, there may even be city or county restrictions on just what you can or cannot haul or dispose of yourself. With that in mind, here are three common scenarios where residential junk hauling is needed. As you probably have discovered, there are quite a few garbage items that your local waste management company won’t pick up for you. Some of these items include electronics, furniture, appliances and construction materials. And if your garbage items fairly large and heavy they probably won’t take them in that case either. Even if your garbage service does pick up your heavy items, you still need to haul the garbage out of your house and out onto the curb. Once the items are on the curb it's possible they might be broken apart or even pushed out into your street. Hiring a professional junk hauling firm provides an efficient, safe and eco-friendly garbage removal service for those items that your standard service won’t pick up. Our experienced garbage removal team will break down and haul off any types of large garbage items you have. We’ll also do all the heavy lifting - no need to carry items out to the curb and have an eyesore for your neighbors to balk at for the week. Got the home renovating bug? At the end of a DIY construction project, you want to sit down and relax. But what should you do with all that construction debris and useless junk? As a DIY homeowner, you might enjoy taking care of things yourself, but why bother with the messy, difficult, and sometimes dangerous task of construction debris removal? When you bring in professionals to handle your DIY construction debris removal, you can focus on the fun and rewarding aspects of renovating your home. You love getting work done, but the truth is that hauling heavy junk is not fun. A professional junk hauling firm also lets you get the job done faster, since you don’t need to haul trash to a dumpster or spend hours driving around. As you deconstruct, open up materials, and create a bit of waste throughout the project, simply stage all your trash off to one side until you call to have it hauled away. Concerned about your project costs? Junk hauling can actually save you money, too. 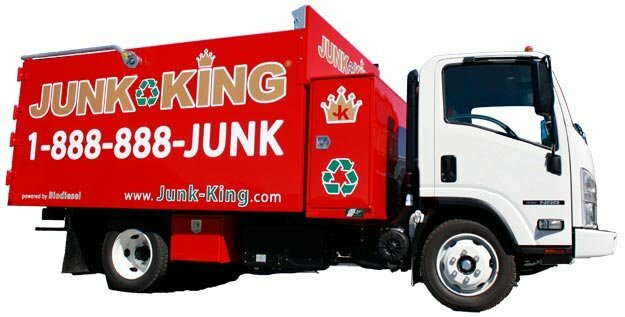 With a company like Junk King you pay one flat fee based on the volume of trash. You save the money you would have spent on special construction waste trash bags, dumpsters, and gasoline. And you save your free time! 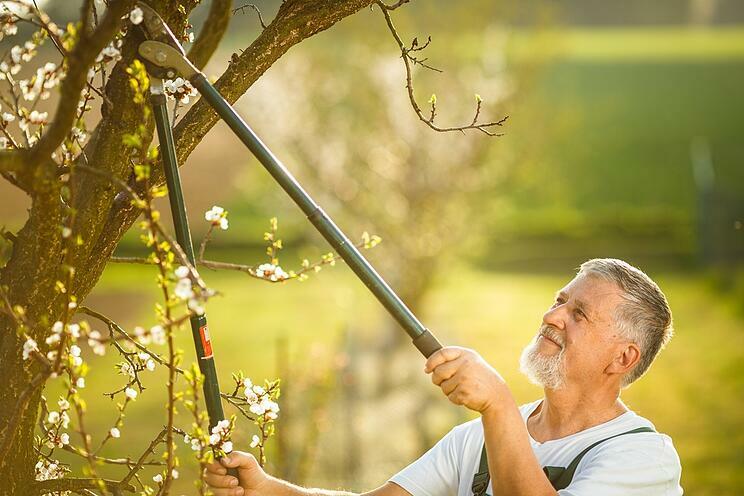 Have you recently undertaken a gardening or landscaping project that’s left dirt and debris everywhere? If so, you probably have accumulated large amounts of vegetation and plant debris - old shrubs, tree branches, fencing, boards, etc. In the process you may have also rounded up a bunch of junk and clutter from your yard that you haven’t had time to clean up until now. The question is: how to best haul this dirty and cumbersome debris easily and safely? A professional debris removal firm provides an efficient, safe and eco-friendly yard waste removal service so you don’t need to worry about the pick up or disposal of your yard debris. An experienced debris removal team, like Junk King, will break down and haul off any types of yard waste you have. Unlike the backseat of your car, our junk removal trucks are made to handle those dirty yard debris items. Ready to get rid of your residential waste? You can make an appointment by booking online or by calling 1.888.888.JUNK (5865). Our professional and insured yard waste removal team will show up at your home or office. We call 15 minutes before we arrive on site and we’ll give you a free estimate based on how much room your junk takes up in our truck. 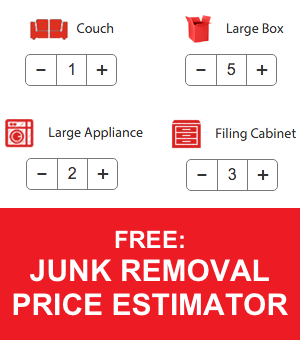 You point and we haul the debris into our junk removal trucks, with no hidden fees. Junk King also offers your greenest solution for DIY construction debris removal, for example. We recycle wood, metal, plastic and other materials with extreme efficiency. And because we pool resources and distribute junk to waste facilities efficiently, there’s less fuel burned than by individual homeowners driving around to dump sites. Whether you need our services several times during a cleaning project, or just once after it is complete, our hauling professionals will ensure that the furniture and debris is quickly out of your way so that you can get on with your life. Our team specializes in trash and junk removal. We can be at your home in mere minutes, so call us today! Our crew is fully insured and well-trained, so you can trust them to get rid of your unwanted items in a professional and courteous fashion. One of the best things about hiring Junk King is that we recycle a much of the material we pick-up. This is proof of our commitment to being an eco-friendly removal service. If you have questions about what we do or what we believe, give us a call at (707) 744-4254.